Note: PIFF's shows are PG-13 rated and his Saturday 4pm show is "family-friendly". The stand out star of Penn & Teller: Fool Us, imagine Larry David in a dragon suit performing jaw-dropping magic tricks and you’re on the right track. 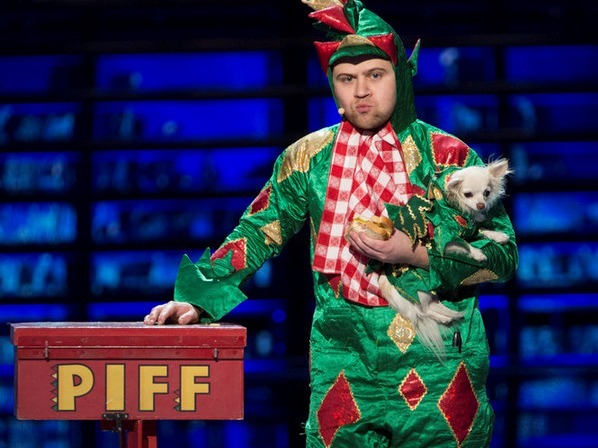 With over 12 million YouTube hits to his name, Piff has performed to hundreds of thousands of civilians in preposterous venues such as Radio City Music Hall, Shakespeare’s Globe, the O2, London and Sydney Opera house. His solo show has had five record breaking runs at the Edinburgh Fringe, two sell-out seasons at Soho Theatre in London’s West End, a national tour of the UK and Australia. He was the opening act for Mumford & Sons on their 17 date UK tour and has just completed a six month residency at The Cosmopolitan of Las Vegas in their flagship show Vegas Nocturne.